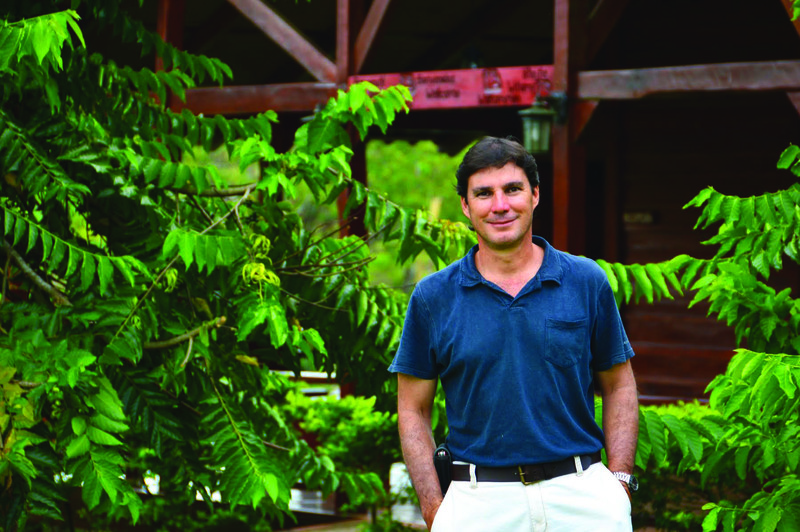 In this issue of EARTH Connections I invite you to read about alumnus Pablo Céspedes who, during a recent staff visit to his ranch, reflected on the subtle yet profound influence EARTH has had on his life. He once believed success in agriculture was measured by profits alone. However, as an entrepreneur, he and his wife (EARTH alumna Ana Hazel Pérez) place community involvement, shared prosperity and environmental sustainability at the top of their priority list. According to Pablo, this is the mark of EARTH. And this is what an EARTH education is all about: transforming young men and women into committed and conscientious leaders. It is about preparing professionals who will pursue the common good above personal gain. This is not to say that our graduates aren’t exceptional agriculturalists or successful entrepreneurs (they are! ), but first and foremost they are ethical, community-minded leaders setting forth a path to peace, prosperity and environmental well-being. We know that EARTH signifies a turning point in the lives of our students, as well as in the communities they affect during their lifetimes. But we also recognize that we can’t bring young people from disadvantaged communities here without you. We can’t find and retain committed, passionate faculty without you. We can’t provide a highly personalized, experiential educational program without you. In other words, the fulfillment of our mission, the transformation of an individual, their families and their communities starts with you. In celebration of our upcoming anniversary in 2015, we are inviting all of our friends and supporters around the world to join together as catalysts for a more just and prosperous future by making a gift to EARTH through our 25th Anniversary Campaign. Our $90 million comprehensive campaign will provide the critical support needed to increase our ability to recruit deserving young men and women from more countries around the globe, to strengthen and improve our current program, and to position us for the development of graduate programs and a robust academic offering on our La Flor campus. In short, our 25th Anniversary Campaign is the chance to be an integral part of EARTH’s future so that together we can continue to transform lives around the world. We hope you will join our campaign by making a gift to EARTH today. When Mirlande Hector (’15, Haiti) was seven years old, her mother dropped her off at an orphanage in Port au Prince, with the hope that her only daughter could have a better life. Young and alone, Mirlande began painting to entertain herself, and unintentionally discovered her passion for agriculture. “My paintbrushes and paper became my first best friends. I would go out in the woods and the gardens to paint all the beauty that I saw, and it was then I started to love and appreciate the environment and all living things.” Twenty years later, Mirlande has the training and experience necessary to make a difference in the lives of children growing up in the same reality she did, thanks to her education at EARTH. After graduation, Mirlande wants to return to Haiti to work with her mentor who started her own orphanage–now home to almost 40 children. 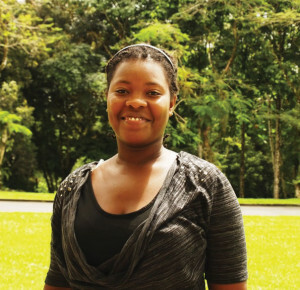 Inspired by her experience at EARTH’s integrated livestock farm, Mirlande is planning a project at the orphanage to produce and commercialize cow and buffalo milk, cheese and ice cream. She also wants to create a community garden to teach the children about responsibility and the importance of growing your own food. Víctor Morales, Olmo Ríos, Sergio Callau, Walter Ndonkeu. 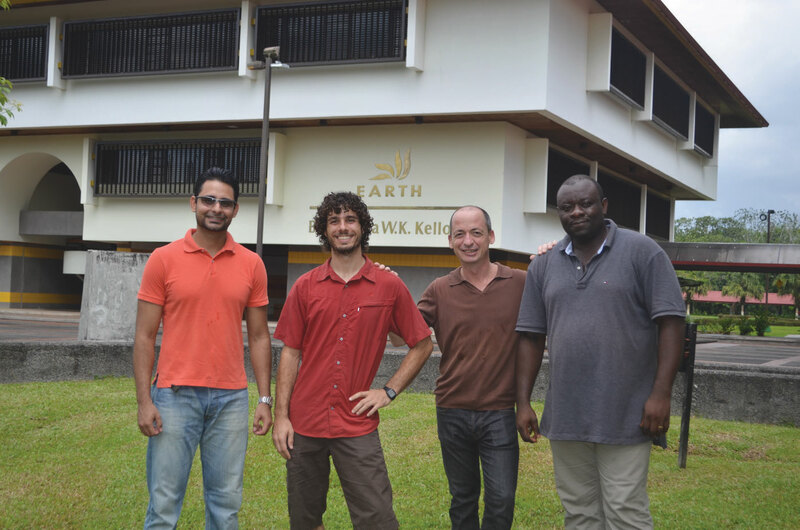 This year, EARTH University welcomed four new permanent professors to our international faculty. 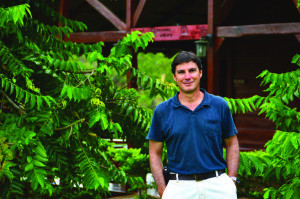 Víctor Hugo Morales Pena (Venezuela) holds a Master’s degree in Forest Management and teaches the agro-forestry course. Sergio Callau (Spain) has a Ph.D in Hispanic Languages and teaches written communication at EARTH. Olmo Ríos (Spain) is teaching courses to first, second and fourth-year students in the area of personal development and health and holds a Master’s in Human Nutrition. 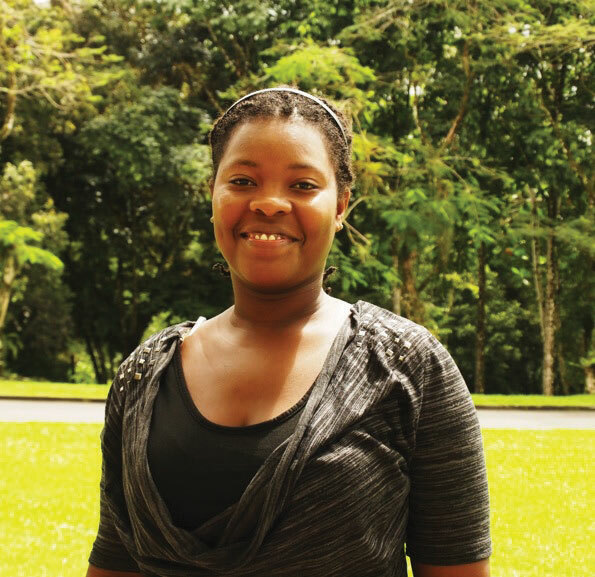 Walter Ndonkeu Tita (Cameroon) is responsible for the second-year Pest Management-Entomology course, and has a PhD in Entomology. Welcome to the EARTH family! 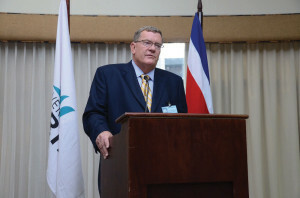 On Thursday, April 3, 2014, Tim Solso delivered a talk entitled, “Leading the change: the road map to success” at the Radisson Hotel in San José, Costa Rica. The event was attended by some 100 business and government leaders from around the country. Solso is president of the EARTH University Board of Directors. His presentation focused on how to run a business during times of crisis, and is inspired by his long and successful career as a leader and innovator in the private sector, including at Cummins, where he worked for over 40 years, and General Motors (GM) where he serves as Non-Executive Chairman of the Board. 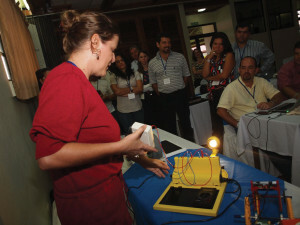 On March 27, 2014, EARTH University announced that the leadership and implementation of the environmental education initiative EcoRomería will now be in the hands of the Costa Rican Red Cross, with the support of the Catholic Church and the municipalities of Cartago, La Unión and Curridabat. The Red Cross will take over the role previously played by EARTH and the Ministry of the Environment, Energy and Seas (MINAE) in the management of the project, which includes the recruitment and coordination of more than a thousand volunteers and the installation of dozens of waste classifiers at strategic points throughout 13 miles of the pilgrimage route. In the previous three years, EcoRomería has helped educate millions of Costa Ricans about the importance of correctly classifying and disposing of waste. 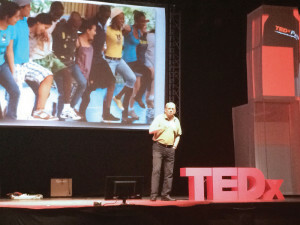 On February 27, EARTH University President José Zaglul presented at TEDx Pura Vida, an event that brings together Costa Rican thought leaders and entrepreneurs to stimulate dialogue and present a variety of ideas and projects worth sharing. With a breathtaking view of clouds building up over mountains and lush tropical gardens behind him, Pablo Céspedes (’94, Costa Rica) expertly multitasks, chopping up homegrown heart of palm for his grandmother’s heart of palm ceviche recipe while simultaneously describing how his education at EARTH University has influenced his entrepreneurial vision. He and his wife, Ana Hazel Pérez (’94, Costa Rica), are the owners of La Anita Rainforest Ranch, a beautiful tropical refuge in the Upala region of Costa Rica. When the couple took over the ranch over 12 years ago, the property held little more than a few farmhouses and a struggling macadamia plantation. Ana relates, “When we got married, we wanted to start something together and put into practice what we studied at EARTH.” They started out by making the existing macadamia operation more sustainable, while at the same time diversifying their crops and creating a tourism operation. With expansive fields of crops and dozens of guests to attend at any given time, Pablo and Ana employ many hardworking individuals and act as an important job source in the area. “For us, sustainability includes the community, and we are committed to hiring only local people. EARTH taught us how to take care of the community and nature, and it has become part of who we are,” Pablo concludes. When Richard Vander Veen of western Michigan first visited EARTH University in 1991, it was little more than a cluster of buildings and classrooms spread upon cattle pasture. More than 20 years later, the campus has transformed into a tropical paradise, but the most important things have never changed: EARTH is still dedicated to providing a world class education and creating leaders of change for the future. Since that first trip to EARTH, Richard and his wife Sue have donated time, effort and resources in a variety of ways. 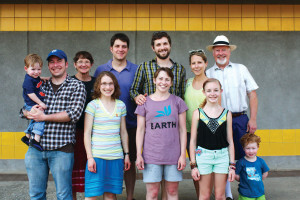 During the early years, when the University was new and the budget tight, they often hosted EARTH leadership at their home in Michigan. Later Richard was also one of the first members of the EARTH University Foundation, which he considered “a privilege and a lot of fun.” In 2011, they decided to invest in EARTH University on a much more personal level: providing a four-year scholarship for one student. This December, they will have the pleasure of watching this student, Anthony Castro (’14, Costa Rica), graduate with a degree in Agricultural Science. Richard and Sue identify so strongly with EARTH’s mission that in April of 2014, they brought their entire family (including grandchildren!) 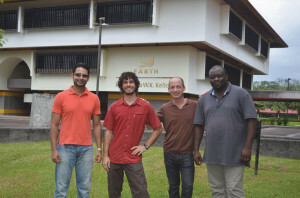 to visit EARTH’s tropical campus. “The whole EARTH model is so right for this troubled world, it is a shining beacon of intelligence and kindness,” commented Sue. “EARTH is my favorite project. Every time I come back, it reminds me that this is the best place, that this is where we want to be helpful,” remarks Rich enthusiastically. He continues, “It is not a big stretch to say that if EARTH succeeds in the things it wants to do, we increase the likelihood of having peace and stability in our hemisphere”. From April 28-29, the Costa Rica/United States of America Foundation for Cooperation (CRUSA), the German Society for International Cooperation (GIZ) and EARTH University hosted a training course in renewable energies on EARTH’s Guácimo campus. The workshop was attended by 23 policymakers, including elected members of the new Legislative Assembly, analysts from the Regulatory Authority for Public Services (ARESEP), personnel from the Controller General of the Republic and representatives from the Costa Rican Ministry of Environment (MINAE). The goal of the workshop was to build a consensus on an energy model for Costa Rica, highlighting issues such as the availability of renewable energy sources and the current regulatory framework. • July 5–6: EARTH Multicultural Fair (EARTH Guácimo campus). • July 9–12: Amigos trip to EARTH campus. • July 25: Costa Rican national holiday (EARTH campus closed). • August 2: Costa Rican national holiday (EARTH campus closed). • August 15: Costa Rican national holiday (EARTH campus closed). • August 17–31: Student break. • September 1: Start of the third trimester of 2014. • September 10–13: Amigos trip to EARTH campus. • September 23: Day without Cars (EARTH Guácimo campus).